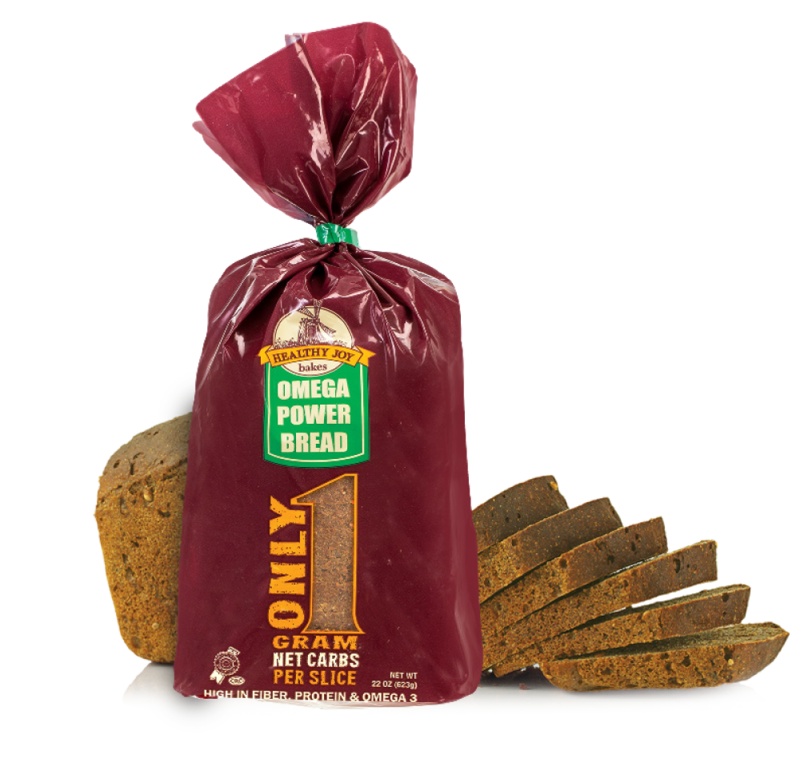 Omega Power Bread | The Best Low Carb Bread On The Market! Flaxseed has long been touted as one of the most nutritious foods on the planet. This 5000 year old little miracle seed is loaded with fiber, protein and Omega 3, Essential Fatty Acids. 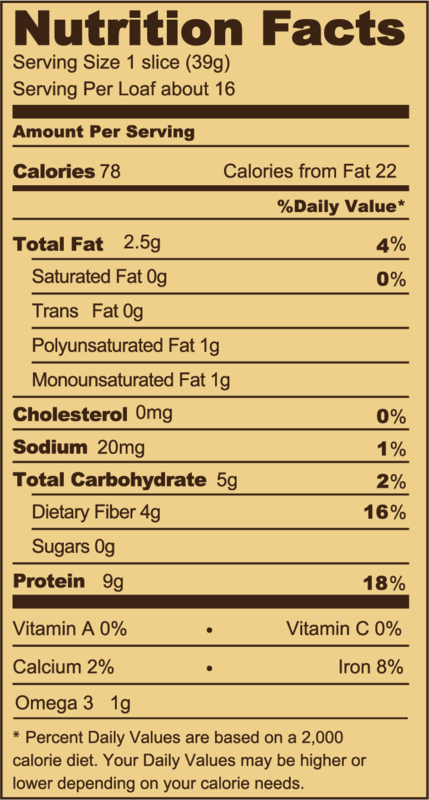 In fact, flax seed has 17 times more Omega 3 than salmon by weight. Now you can have all that in the best low carb bread available. Packed with protein, Omega 3, and fiber, the Omega Power Bread will help you reduce coronary disease, maintain your immune system and perhaps even prevent cancer. If you suffer from diabetes, obesity or allergies, there is finally a low carb bread for you! Golden Flax Meal, Coarse Rye Meal, Wheat Gluten, Water, Yeast and Salt.